At long last, I have gotten around to digitizing an interesting piece of radio history. 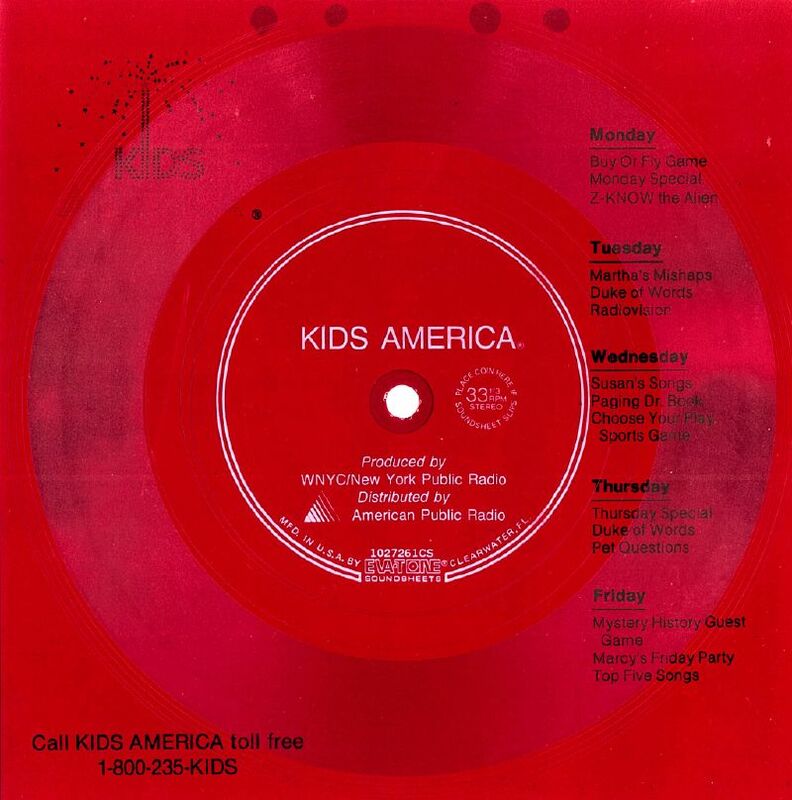 This was a thin plastic record that was given out to radio stations encouraging them to air Kids America. It is a nice summary of the program in its first year, and the audio fidelity isn’t half bad for a sheet of plastic. Enjoy! Thanks for digitizing this! I’m an electronic producer and a friend just passed me the 1979 National Geographic Soundsheet of ‘Songs of the Humpback Whale’ (which is stellar). Started poking around and wound up here. I’m excited to check out what else you’ve posted. Cheers!